Our office, located in the West Hartford Center, always welcomes new patients - both adults and children. We have enjoyed establishing long-term relationships with our family of patients who are the center of our practice. We work hard to create a stress-free and comfortable dental experience from the moment you walk in the door. A commitment to providing the highest quality dentistry has always defined our highly skilled caring staff and our West Hartford, CT dentist. We are dedicated to personalized, comprehensive, and state of the art dental care. Our staff works as a team to provide thorough treatment utilizing the latest and most innovative dental technologies. We promise to listen carefully to your dental health priorities and work with you to meet your goals for enhanced oral and general health. Your comfort and personal satisfaction are of the greatest importance. We provide a complete range of preventive, restorative, implant and cosmetic dental care. 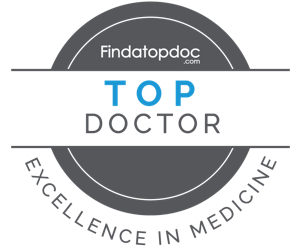 When you choose our practice, we want you to feel confident that you are working with a doctor and health care professionals who are experienced, highly qualified and respected by their peers. If you have any questions about our available services, don't hesitate to give us a call at (860) 521-6767 to learn more or schedule a consultation. Please take a few moments to look through this site to get a better understanding of our office and become more familiar with Dr. Haims, our staff and a wide range of dental services. We hope this website will be a useful and interesting resource to help you achieve a beautiful smile and great oral health!